PLAY: Fun performance games that encourage teamwork, raise confidence and promote a supportive learning environment. PROGRESS: Drama-school style activities that teach fundamental performance techniques and skills like mime, improvisation and vocal projection. PERFORM: Children perform to each other every week and stage end-of-term shows for parents and school assemblies using our extensive play library or their own ideas. For performance driven children, we offer a rounded club that delivers entry-level basics through to a deeper understanding of drama. For fun seekers we offer the chance to play an array of (secretly) educational games, work with others and learn something new and exciting that can be applied outside of the club to life and work. Teamwork is key and children are encouraged to find their voices and share their ideas to achieve a final product. Our policies and systems enable our brilliant tutors to maintain a safe, fun and supportive club setting in which children can thrive. 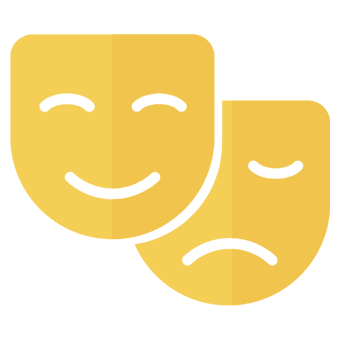 Through drama, pupils are put into circumstances physically, mentally and emotionally that are outside their normal understanding of how things are, helping them to grow as actors and people. At Zylo we bring the arts to you and, in doing so, aim to extend these benefits to the widest possible range of children. Drama is recognised by educators and psychologists for it's wide range of social and personal benefits for children. Participation in drama teaches them valuable life skills, like how to work effectively as part of a team, and helps in developing a strong sense of empathy, self-confidence and a can-do attitude. The skills developed in drama go far beyond the scope of simply training actors too.... whether your child wants to be a footballer, a brain surgeon, a rocket scientist or a hollywood star, everyone has something to gain from drama education. What do people think of Zylo drama?